With the staging of the coaches training, the much-anticipated maiden FCV Gladiators Camp opened yesterday at the University of Lagos Sports Complex. The one-week exercise has a foremost coach from the English Premier League leading some group of tacticians to the Lagos leg of the clinic. Also, the Olympic Value Education Programme (OVEP) will also be part of the exercise holding in Lagos and the Abuja camp will be hosted at Aduvie International School between April 21 and 26. The camp which is the brainchild of Dynaspro Promotion with Advanta Interactive in collaboration with United Kingdom (UK)-based FCV Academy will hold in Lagos and Abuja with special focus on football and education. 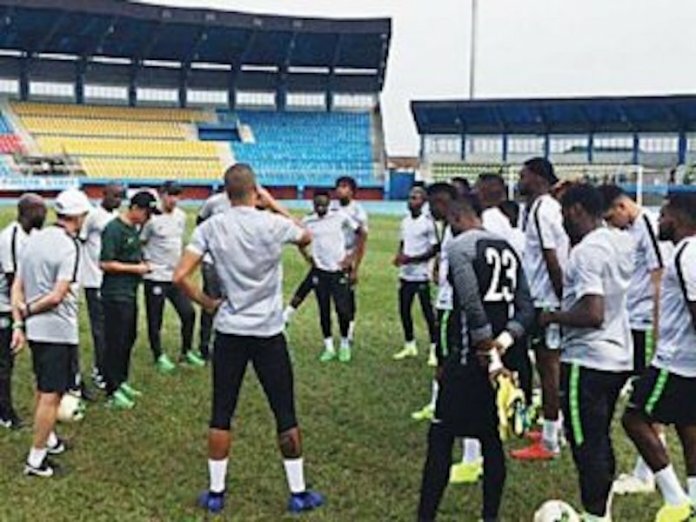 According to the Director of Dynaspro Promotion, Oluseyi Oyebode, the camp would afford participants opportunity be acquainted with the modern trend in football. “It is a great beginning. For the first time, we are having a foreign partner that is so keen on education and football that has been the missing link. That is why today, we have a lot of our ex-footballers and athletes suffering by not being able to manage the successes, not being able to manage their finances while making the money. “Also, there will be mentorship programmes and for the first time, we will have school coaches, coaches from the grassroots having FA certification and that is the greatest value that you can think about. It will also enable participants the opportunity to have the same orientation that an average British coach will have in working with the youth academy. “This is going to evolve and help development of football in Nigeria,” he further noted. The Director of FCV Academy, Martin Harris, special emphasis would be laid on encouraging the participants to combine sports with education.